Serving The Hill Country Over 25 Years. At Del Rio Motors we recognize that good people may have had some bumps in life. That is why we provide our buy here pay here finance program. We have a large selection of quality used cars and trucks to choose from. Drive home today in the car or truck you always dreamed of owning. 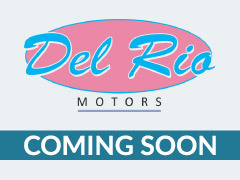 When other dealers say no we say yes at Del Rio Motors.